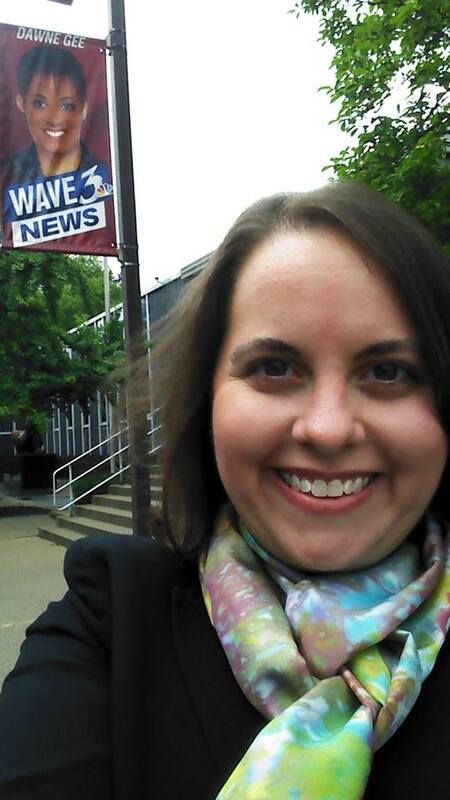 I have heard a lot of feedback that some of you VERY observant Team Pamela members noticed something “different” in this photo outside of the WAVE 3 studios. Why yes, that IS a new scarf. In fact, it is a DyeSign from my new scarf collection! Details are coming soon, but for now you can get another sneak peek of more pieces from my new collection in my recent TV interview. & click on the “DyeSigns By Pamela, Inc.” link.